Love this design! 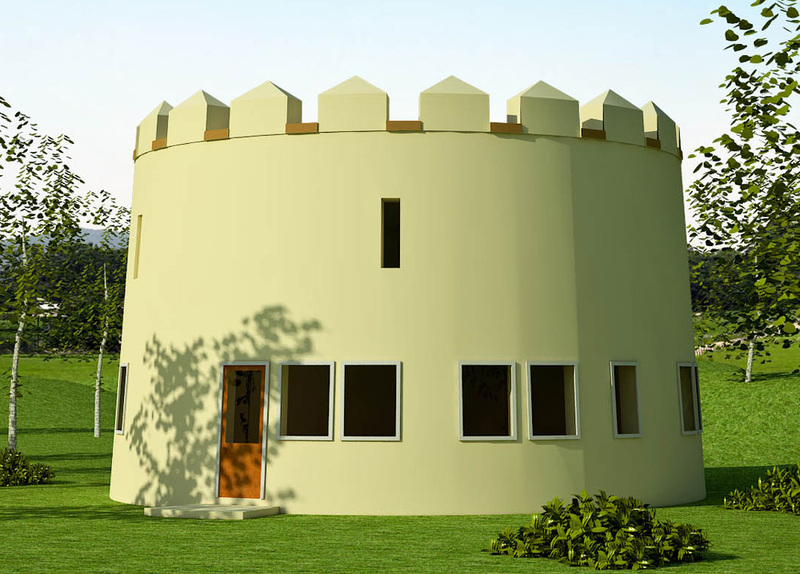 I can see it with high earthbag castle walls up to its sides and enclosing a secure and private huge yard for snake-free gardening and relaxation. Great design! Very fun. This is amazing! ABSOLUTE LOVE ALL THE CASTLE DESIGN! You’ve truly outdone yourself. Thanks. The castle wall is 10′ high.and 3′ wide at the base. Higher than that seems like too much work. Thanks a lot. It’s been really fun. The second castle is coming along faster than I thought. I may be overlooking it, but where are the stairs? Is it ladder access for the second floor? Is no square footage lost on the second floor due to the wall tapering? Thanks! Love the castles! It would be so cool to hang out on the roof and stargaze on a beautiful night! This is just a concept drawing at this point. I would edit the drawings to meet the needs of the customer. You could use a ladder or exterior stairs. At last, a place to start. Now all I need is a title, a land grant, and some surfs (surfs are far superior to peasants, “they’r revolting”). 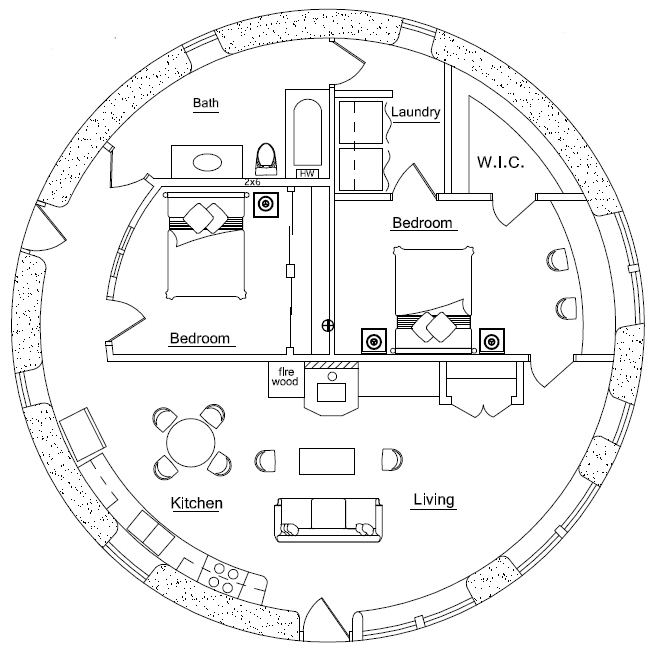 so does this design have a second floor plus a roof area as well, or is it just a rather tall ground floor with a roof area? There’s a second floor and roof deck, but the second floor is a blank slate at this time. I drew it for my castle plan and figured I would work out the second floor later to client’s needs. There are commercially available waterproof decking materials. Search online. This design is for dryer climates. Add scuppers for drainage. Raise the hatch above the level of the deck. Are your plans for sale? Not all plans are listed, just the most popular ones. Email Kelly at that site if you don’t see the plans you want.